This month we are really excited to welcome Dr Catherine Flick to Women in Tech! In this talk, Catherine will introduce the work she has been doing recently on updating the ACM’s code of ethics and professional practice. She will discuss the development of the new Code, and particularly some of the new equality and diversity aspects, show some of the challenges and opportunities it presented, and will walk through some examples of how to use and interpret the Code in everyday professional practice. Finally, she will be happy to talk about any ethical dilemmas the audience brings along, using the Code as a basis for discussion. 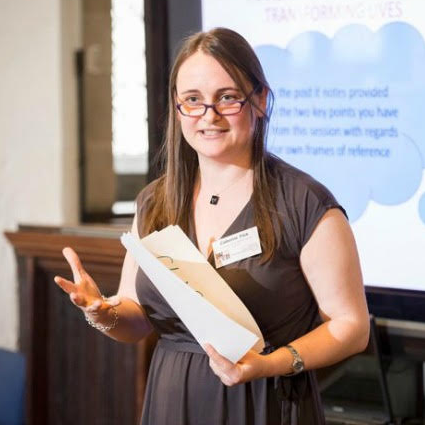 Dr Catherine Flick, reader in Computing and Social Responsibility at De Montfort University, is an internationally renowned researcher on the ethics of technology. She is involved in European funded research working specifically with industry on how to integrate ethics into their practice. She has a joint degree in computer science and history and philosophy of science and a PhD in computer ethics, and has worked in industry as a web programmer and Unix sysadmin. She also researches the ethics and social impact of video games. This month at WiT we’ll be giving away a copy of the new book from Cathy Newman, Bloody Brilliant Women. Attend and tweet on the #WiTNotts hashtag to be with a chance of winning!